If you can pause long enough to think about all the metaphors and analogies that exist as you observe and take part of raising a child you start seeing them all over the place. Maybe it’s kind of cheesy, but I’ve started to think about maybe documenting them from time to time. 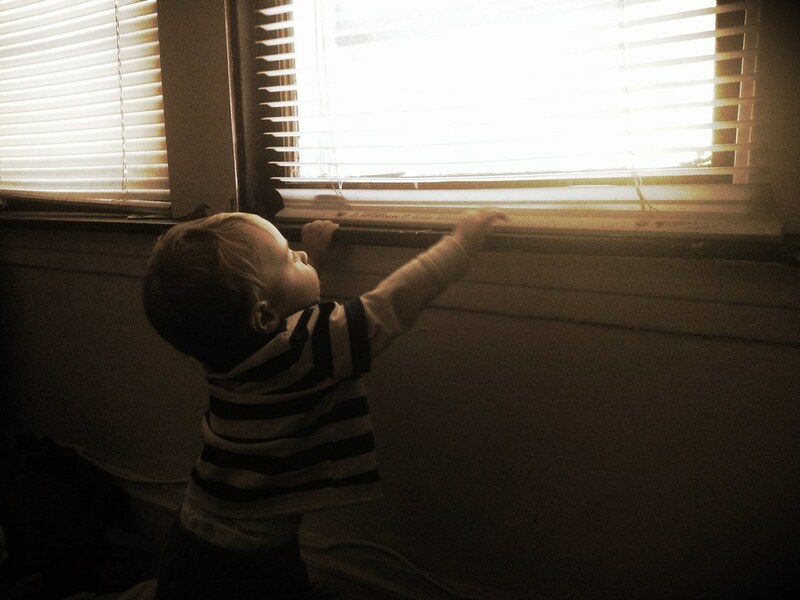 Today Micah was standing trying to peek out the window. He was on his tippy toes, straining to just get one glimpse out the window. He complained, and looked to me in desperation. I thought about how badly he wanted to see out that window. He wanted to see out into the world, to see what was going on around him. And I thought about how no matter how hard he tried, unless I picked him up, he’ll just have to wait until he gets bigger to see out that window. And that’s how life is oftentimes. We want to peek out and see what in the world is going on, but no matter how hard we try on our own, we won’t be able to do it. Either we ask for help from friends, family and God, or we just wait until enough time has passed and we have grown big enough to get that view.